To get the full health benefits of garlic, crush or fine-chop the garlic at room temperature. Allow to sit for about 15 minutes to produce a super nutrient 'allicin'. If you can possibly bear it, eat it raw as chewing has the same effect. Having tried it raw I will stick to the garlic and thyme capsules I take, preferring them to tablets. To help neutralize the smell, try eating fennel seeds or chewing on fresh parsley. The smell is actually hydrogen sulphide, an antioxidant, which our bodies have a natural supply. Modern research has shown that eating garlic appears to boost our natural level. Some studies have concluded by stating that the boost in hydrogen sulphide may well explain why garlic-rich diets appear to protect against various cancers. These include breast cancer, prostate cancer and colon cancer. The benefits of garlic and cholesterol have been linked for a long time. Heating garlic produces another compound which helps lower both cholesterol and blood pressure levels, by preventing clotting in the arteries. A species of the family Alliaceae, along with onions, chives, leeks and shallots, it's true name is 'Allium sativa'. The cloves are off-white in color and have a firm texture. What about growing your own? As with all home-grown vegetables the taste is always better. Because garlic has fungicidal and pesticide properties it can also help keep neighboring plants healthy. Garlic is a good source of vitamins, minerals and protein. The healing powers of garlic stem from the many sulfur compounds found in the vegetable, including allicin. Allicin is antibacterial and antiviral and when combined with vitamin C, it acts as a powerful agent to help kill harmful microbes. 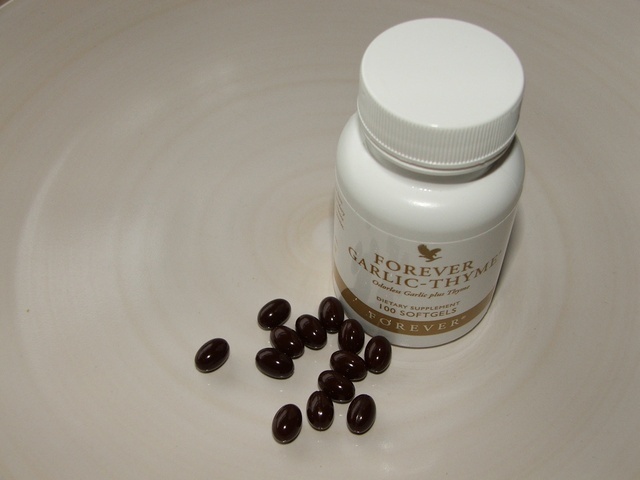 It has also been proved to be effective against colds and flu, Candida and stomach viruses. As I mentioned, I don't eat raw garlic, but it doesn't put me off using it in a variety of recipes, cooked or otherwise. Why don't you give some, or all, of the following a try and get the health benefits of garlic for yourself. Marinate pressed garlic in olive oil and use this flavoured oil in dressings and marinades. Purée fresh garlic, canned garbanzo beans(chickpeas), tahini, olive oil and lemon juice to make quick and easy hummus dip. Consumed this way on a regular basis will most certainly provide your body with the extra benefits of garlic. A few snippets on the history of garlic. It is native to central Asia and one of the oldest cultivated plants in the world having been grown for over 5000 years. The ancient Egyptians appear to have been the first to cultivate this plant, one that played an important role in their culture. Although they had an aversion to it they apparently fed garlic to the pyramid building slaves to increase their strength. Garlic was so highly-prized, it was even used as currency. 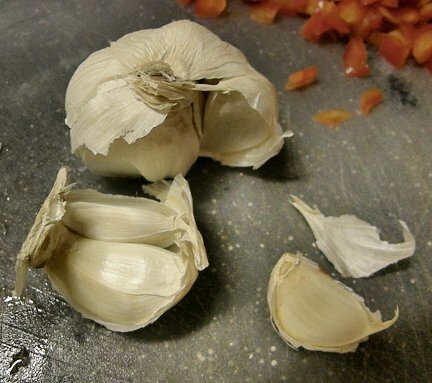 Romans and Greeks also used garlic to increase strength and to prevent diseases. Around the start of Muslim rule, garlic, as well as ginger and onion, became a very important part of the South Asia cuisine. Garlic was used by people daily during the plagues that struck London in the 17th century and France in the 18th century. Many cultures thought it to be an aphrodisiac.